Technology has changed the game for many businesses. 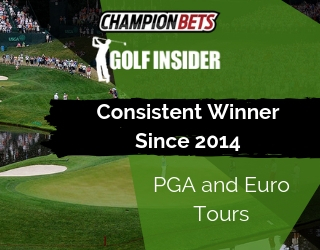 For on-course bookmakers, it’s had a devastating impact. 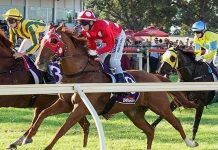 It’s now over a decade since the High Court of Australia ruled it was legal for online bookmakers to offer their products across state borders. What followed was a tidal wave of large-scale, cashed-up corporate bookies, mostly from the UK. 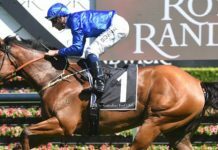 They flooded Australia with their established technology and huge marketing budgets, snapping up punters and their betting dollars. 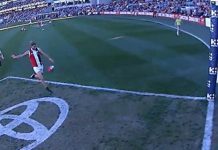 The benefits for punters have been obvious. They can now bet at any time from anywhere via the phone in their pocket. 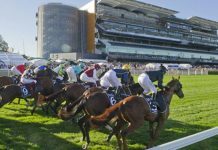 For the rails bookies – a fixture of Australian racetracks since… well, since there’s been Australian racetracks – it’s meant betting volumes have been savaged. But the overwhelming cause of that shift – technology – now has on-course bookies ready to fight back. The on-course price, compiled by the Australian Price Network, was a fixture of Australian racing until recently, showing prices being offered by bookies in the betting ring. It was dumped as the “official price” by racing authorities in 2016, in favour of a new calculation using the corporate bookies’ prices. The rails bookies’ response has been to produce their own proprietary price: the ABA Price. 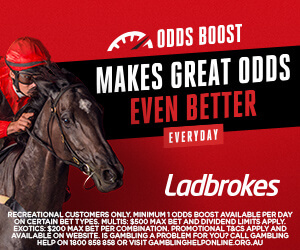 Under the banner of the Australian Bookmakers Association, the ABA Price is basically a weighted median of the price that’s being offered on-course by around fifty participating bookies, spread across all five mainland states. The technology employed means that any price adjustment made by any of the bookies is automatically taken into account, and the ABA price updated instantaneously. “We had to keep our price relevant,” Peter Fletcher, CEO of the ABA, told Champion Bets. “We’d like to think we’re often offering a better price (than corporate bookies), and certainly our members are operating under different rules which actually require them to bet higher limits to punters. 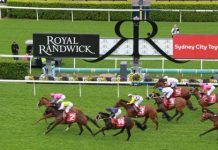 “For example, on a Saturday at Randwick, if you’re in the main betting ring, you can get on to win $5,000 with each of the bookies there. The internet bookies only lay $2,000. Step one of the rails bookies’ fightback is done: the price is visible online for anybody who wishes to view it. It’s also displayed prominently on-course in Sydney, including on the main infield betting board, and it’s hoped racetracks elsewhere will to follow soon. Making their price visible to punters everywhere is a big win for the ABA, but the next step is the most important: trading the price online with punters, no matter where they are. At the moment, punters need to have an account with one of participating bookmakers individually to access the ABA price – be it over the phone, or with some who run their own websites. It mightn’t be too long, however, before punters can access the ABA price through a single online account, with their bets taken through the system and the liability shared among the participating bookies on course. Effectively, punters will be able to bet into the betting ring from wherever they are. “We’re moving towards those options for off-course punters,” said Fletcher. “That’s evolving, and I can’t say too much about it just yet. We’ve got plans to offer those sorts of services, we’ve obviously got to work through the regulatory requirements and so-on. “There’s a plan for co-operation between our bookmakers. There’s opportunities via the technology we now have for them to work more closely together and take much greater volume, sharing the risk. It’s a quirk of the betting market (and questionable regulation) that, as Fletcher pointed out, on-course bookies (generally sole traders) are required to accept higher volume bets than their multinational conglomerate counterparts. This is taken into account with the ABA Price, with the calculation being weighted on the limits that each bookmaker is required to accept. It gives the price a genuine base: it’s the total price that the punter could get if betting with all the bookies participating. For punters hoping to get more on, the kicker here is that each bookie participating in the ABA price has his own individual limit. If and when they’re combined online under the ABA price, it’ll mean massively improved betting limits for big volume punters. “It’s about our bookmakers working together to broaden the ability to take larger bets and share the risk,” said Fletcher. 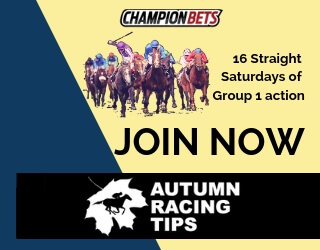 Champion Bets will keep an eye on the ABA price space and ensure that as punters, you’re kept up to date with any new developments.